High Point Place condos or condominums offer luxury living in Fort Myers River District. Units offer private elevator entrances with spacious floor plans from 1800 to 2200 square feet with 3 bedroom, 2.5 baths or 2 bedroom, den, 2.5 baths and large lania's. 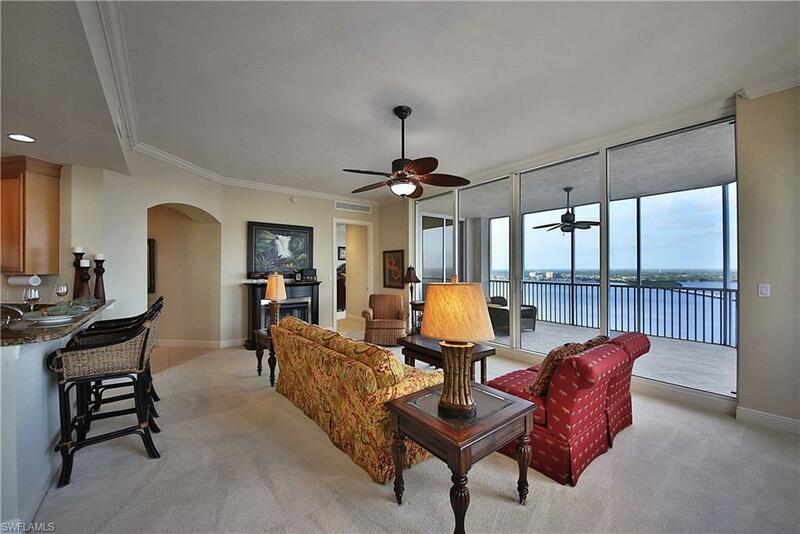 All condos offer views of the Caloosahatchee River in this 225 unit complex of condominiums. High Point Place also offers 18 city style homes or villas for a unique lifestyle. Site amenities for this high rise include: Boat Marina on the river, formal main lobby entrance, expansive riverside deck, pool & spa, poolside barbecue grills and shaded cabanas, fully equipped fitness center, spacious gathering/entertainment room overlooking the pool and water equipped with TV, sound system, mini kitchen and bar, state-of-the-art conference room, central mail and package receiving area, storage lockers on garage level, and resident car wash bay.